CHIEF EXECUTIVE OF Ervia, Michael McNicholas has defended Irish Water’s €70 million spend on consultants, insisting they were “international experts”. McNicholas said the “international experts” were integral to the establishment of Irish Water. The Ervia boss said the money was spent on software and computer system experts needed to set up the national utility. He said the setup of Irish Water cost €100 million less than any other utility in other countries. So no, we did not waste €70 million on consultants. In 2014, there was public outcry when it was revealed how much was being paid on consultants. In its written submission to the Environment committee at the time, it was disclosed that computer giant IBM would receive €44.8 million, Accenture would get €17.2 million, Ernst & Young would received €4.6 million and KPMG would get €2.2 million. Another €13.3 million went to 18 other contractors who were procured “to support the work” of the major providers. Nearly €4 million was spent on the procurement of legal services with €970,000 being spent with McCann Fitzgerald and €2.9 million with A&L Goodbody. “We delivered at the end of the day a national utility that is a national asset,” said McNicholas. The committee also heard that Irish Water spends €25 million a year on billing. Irish Water spends €25 million on the process of sending the bills, while €13 million is spent on the contact centre. €2 million is spent on staff costs. Energy Commissioner Paul McGowan told the committee yesterday that he did not “boldly state water metering should be abandoned” in its submission to the committee. McGowan said the metering project should be “parked” for the time being, as their were other capital projects Irish Water should prioritise. 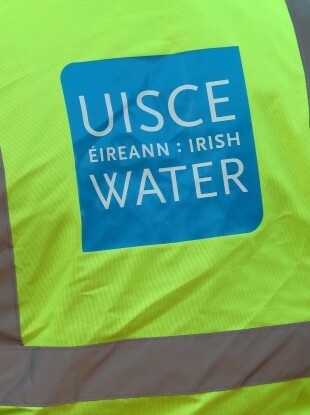 Irish Water said there was a lot of work needed to improve Ireland’s water infrastructure. McNicholas said it wanted to get rid of all the cast iron and asbestos pipes, as well as deal with the sewers that have been in place since the 19th Century, which he claims are ready to collapse. The committee was told wastewater treatment plants are under immense pressure, resulting in raw sewage being pumped into the water in 44 locations. Email “Irish Water: 'We did not waste €70m on consultants'”. Feedback on “Irish Water: 'We did not waste €70m on consultants'”.